10 July 1942: Keel laid as Lanoley by the Consolidated Steel Corp., Orange, Tex. 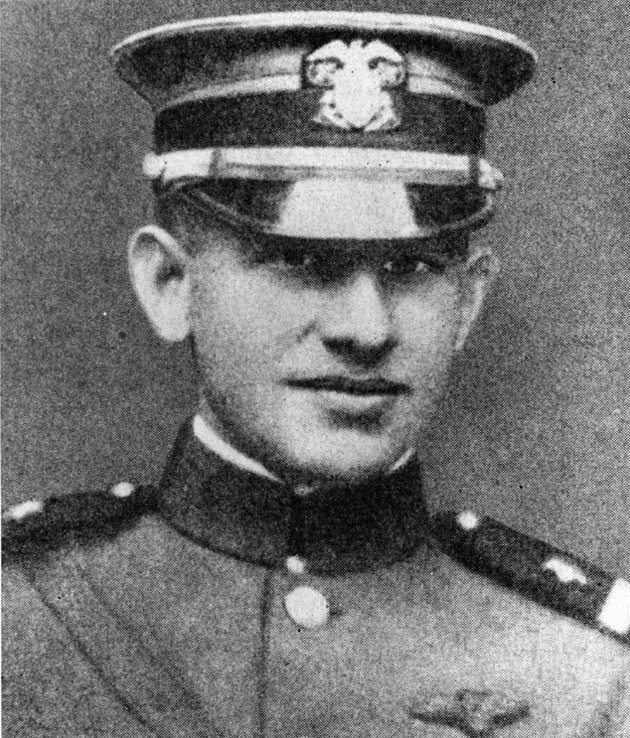 13 December 1973: Sunk as a target off Jacksonville, Fla.
165k Charles H. Hammann was born on 16 March 1892 in Baltimore, Maryland and was appointed an Ensign in the Naval Reserve Flying Corps during World War I. On 21 August 1918, while piloting a Navy seaplane near Pola, he landed on the Adriatic Sea to rescue Ensign George H. Ludlow, whose aircraft had been shot down by Austro-Hungarian forces. 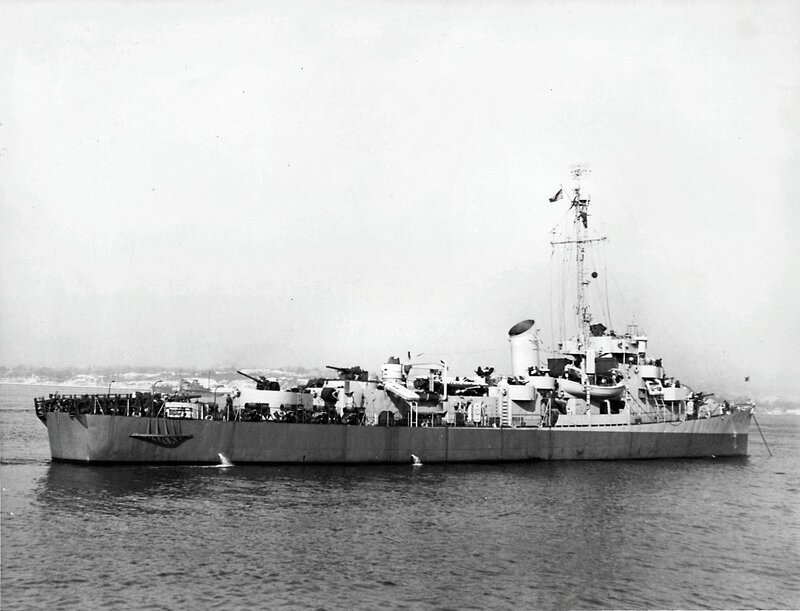 Though Hammann's plane was not designed for two persons, and despite the risk of enemy attack, he successfully completed the rescue and returned to the base at Porto Corsini, Italy. He was awarded the Medal of Honor for this exploit. Ensign Hammann lost his life while serving on active duty at Langley Field, Virginia, on 14 June 1919. 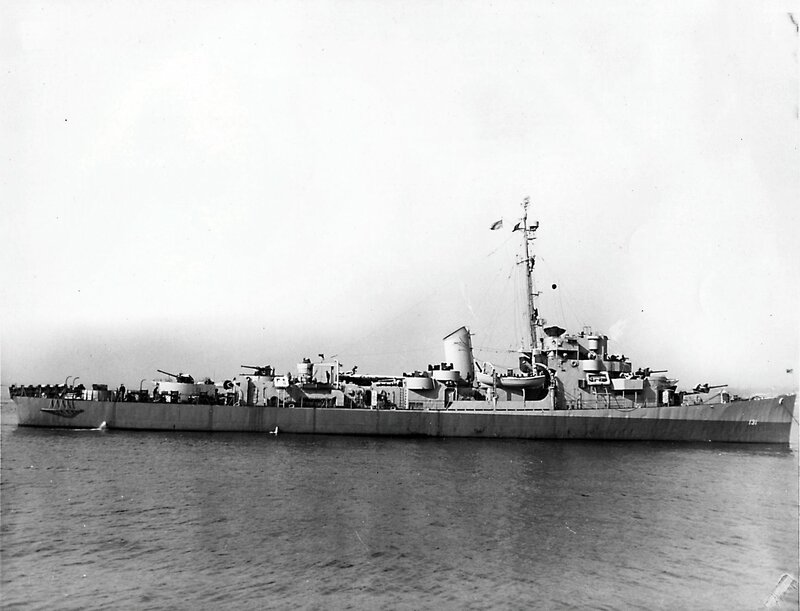 USS Hammann (DE 131) (1943-1945) was the second ship named in his honor, she was preceded by DD 412 (1939-1942). 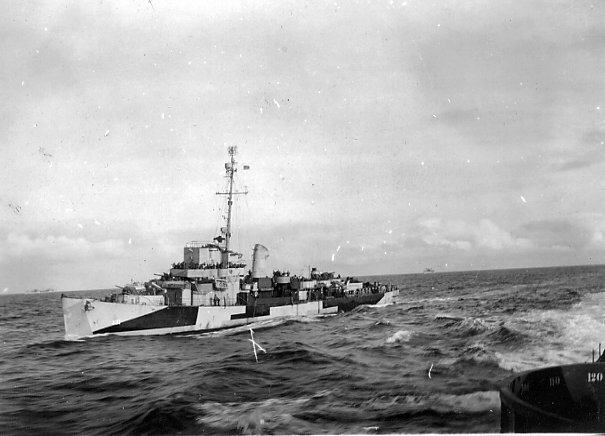 248k 21 March 1944: off Brooklyn, N.Y. - Two starboard side views of Hammann taken in misty waters near the New York Navy Yard. 46k August 1945: View of Hammann from USS Brough (DE 148) near Hawaii. Hammann is painted in camouflage measure 32, and on the horizon two more ships are visible. 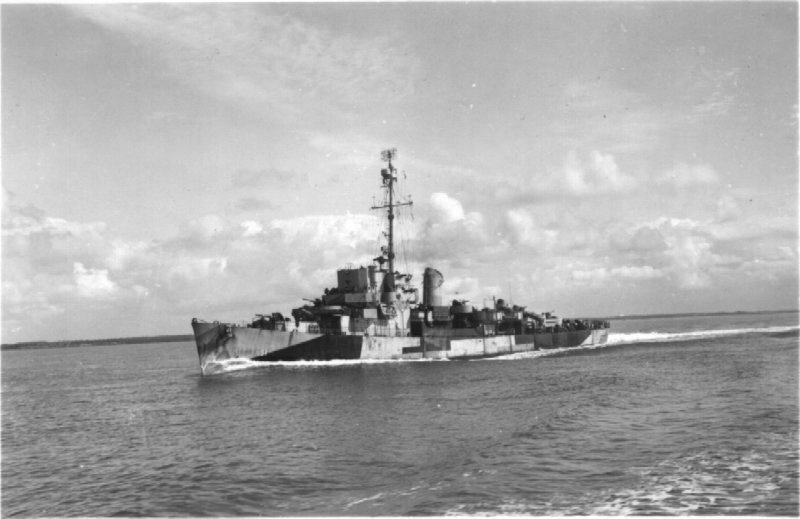 (Photo from the Judson Goodrich Collection) John N. Adriani, Sr.
View the USS Hammann (DE 131) DANFS history entry located on the Naval History and Heritage Command web site.